When folks arguing against gun-safety measures need a knee-jerk retort, they often deploy just a question: What about Chicago? Doesn’t gun-control Chicago and its crime problem prove that no gun control laws work? Doesn’t Chicago’s high murder rate prove that gun control laws actually lead to more crime? But when it comes to illegal guns in Chicago, or other gun-control cities, you have to look outside Chicago. You have to look all the way to Idaho, that gun-freedom paradise. Some people look at this and say it’s evidence that any law restricting access to guns won’t work, because law-abiding citizens can’t buy guns and criminals can. They treat this like a natural law – as if guns for criminals grow on trees – rather than a consequence of specific policies. The truth is that criminals in gun-control cities have a steady, reliable supply of weapons thanks to the gun-freedom paradises. The problem is not any one city’s or state’s laws. The problem is the patchwork. The lowest common denominator wins. A report in Monday’s Spokesman-Review by Will Campbell traced the journey of one handgun from a Hayden Lake pawnshop to Chicago, where it was used in a criminal shooting eight days after it was purchased last summer. An Idaho man bought seven pistols at Pawn 1, then drove to North Dakota to meet someone who bought the guns for money and drugs. Not long after, the gun was seized from a man arrested in Chicago, and tests determined it had been used in a shooting. It happens thousands of times a year. A straw buyer makes a big purchase in Georgia, or Alabama, or Florida, or Texas – or Idaho – and drives the guns promptly to New York City or Los Angeles or Chicago. If that suggests to you that the only problem is gun-control cities, you might not be thinking it all the way through. The ATF keeps “trace” statistics, running down the first retail seller of any gun that agents trace for some reason. The ATF may trace firearms for many purposes. Not all firearms that are traced were used in crimes, and not all firearms used in crimes were traced. What they show is that in states like Idaho, where about 1,000 firearms were traced in 2016, more than half of the guns originated within the state, and most of the rest originated in surrounding Western states. Washington state showed a similar ratio – just more than half of the more than 4,000 traces in 2016 originated within the state, with most others coming from surrounding states. 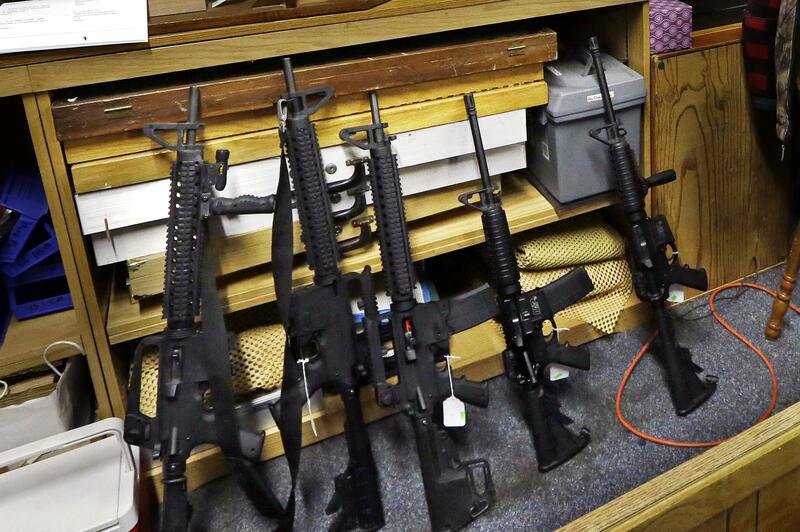 On average, across all states, traced guns come from out-of-state 29 percent of the time. States with strict gun laws show a much higher percentage of traced guns coming from other states. In California, 57 percent came from other states, most prominently Texas, Arizona and Nevada, the ATF reports show. In New York, it was 83 percent, with a heavy supply line running north from Southern states. In New Jersey, it was 88 percent. A New York state attorney general’s report found that from 2010 to 2015, 74 percent of guns seized in crimes came from outside states, and 86 percent of handguns used in crimes did. The national average across all states was 29 percent. In Chicago, meanwhile, which seizes more guns annually than any other city, the same pattern plays out. About 40 percent of seized weapons came from Illinois cities with laxer gun laws; the rest migrate in from low-regulation states on the black market. A country that was serious about keeping guns out of the hands of criminals would be looking to erect more effective barriers between the legitimate and the black markets. A country that isn’t would just shrug and ask: What about Chicago?